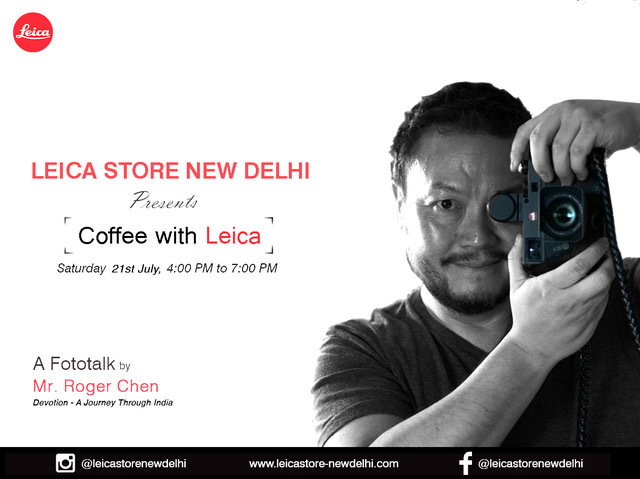 A leader in luxury camera segment worldwide, German Luxury Camera brand ‘Leica’ is celebrating the cultural heritage of India with the third session of ‘Coffee with Leica’ by joining hands with Canadian Diplomat and proud Leica user- Mr. Roger Chen. The brand though this initiative is not only promoting the Indian culture but also sharing Leica experience with the new generation of photographers. Post the amazing response received for the first two sessions of ‘Coffee with Leica’, the third session is sculpted around Roger’s latest collection ‘Devotion- A Journey through India’, where he displays photographs taken during his three years stay in India, capturing festivals, religion, culture and tradition. 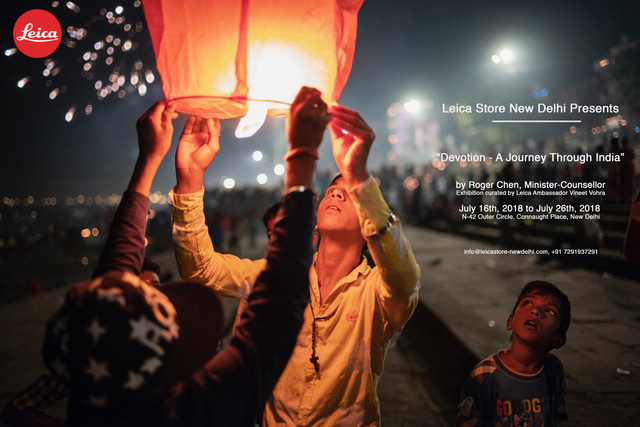 This upcoming session is scheduled for Saturday, 21st July 2018 at Leica Store, New Delhi addressing new generation of photographers, sharing valuable information around ‘The art of capturing Indian streets which is filled with the amusing culture of India’ and photography journey with Leica. His collection will be up for exhibition at Leica Store, New Delhi from July 16th to July 26th, 2018. The meet will have a lot of budding photographers who will be captivated with Leica experience. An invite only event, photography enthusiasts can register themselves online for the event. Mr. Roger Chen has been a diplomat working overseas over the past 25 years in locations such as Jakarta, Kuwait, Shanghai, São Paulo, Cairo, Beijing, New York and the past three years in Delhi. As an avid travel photographer, Roger has thrived on capturing the diverse cultures, traditions and customs he has been to be privileged to witness. In his Leica journey he documents the world through the Leica M10 and a 35mm f/1.4 Summilux. Leica is headquartered at Wetzlar, Germany and has branch offices in Australia, China, France, Italy, Japan, Switzerland, Singapore, South Korea, the UK and the US.